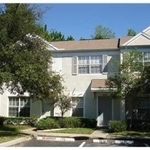 Lowest Priced Townhome in New Tampa! This maintenance free 2 Bedroom, 1.5 Bath Townhome is located in the heart of New Tampa in the gated community of Hunter’s Key. Home is in excellent condition and ready for move-in! Rent includes water, sewer and garbage!! Quiet and serene community is seconds from I-75, shops, restaurants, movie theater, post office and more! Home offers pond views in the front and wooded conservation views in the rear. Home has all appliances including washer / dryer. Living / Dining Room combo is open to the kitchen and features Berber carpet, ceiling fan and sliding glass doors leading to the screened lanai. Kitchen has all appliances, including built-in microwave, breakfast bar, closet pantry, recessed lighting, ceramic tile and white raised cabinetry with brushed stainless hardware. Oversized Master Bedroom features ceiling fan, Berber Carpet, double closets, separate linen closet, volume ceilings and wooded conservation views. Spacious upstairs Bath includes large vanity with double sinks, volume ceilings, ceramic tile and oversized shower / garden tub combo. 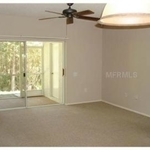 Bathroom can be accessed from Master Bedroom and hallway. 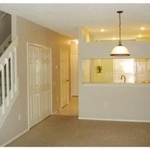 Home also includes half bath downstairs perfect for guests. 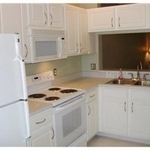 Laundry is located downstairs and features full size washer / dryer. Screened Lanai, perfect for relaxing, has ceiling fan, storage closet, access to rear yard and wooded conservation views. Additional features include decorative neutral paint throughout, security system, volume ceilings, blinds and ceiling fans throughout. Designated parking spot steps from front door and ample guest parking for your convenience. Community amenities include pool and sand volley ball court.